Claim your free coins now! Unique community focused chat room. The worst designed roulette gameplay we've seen! Rolling jackpots on all games. Just four games on offer. Super easy account creation. Not much variation in graphic style across the games. Thanks to the Provable Fair system at play on this site it is possible for players to analyse the play data to ensure the games are indeed fair. One player did that, and put a lot of work into his analysis and came to the conclusion that a particular game on the site called Cells was in fact not fair. Apparently (according to this thread ) a site Administrator responded by saying there was a bug in the code of Cells which did result in incorrect results. This likely explains why cells is in maintenance at the time of our review and not available to play. It is hard to believe that someone would deliberately design an unfair game, in an environment that allows any player to test the legitimacy of the game, but we feel obliged to flag this for your benefit. 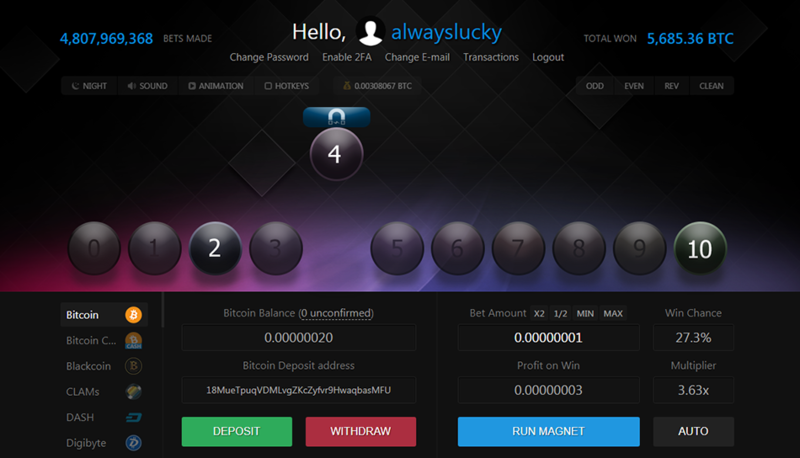 Luckygames impressed us with the huge variety of coins they accept, the insanely easy account creation process (there isn’t one! ), and The Provably Fair system utilized to ensure fairness in all games. The site also features a very low house edge which is just 1%. Bolstered to the left of the screen you will find an active and well thought out chat room which creates for an engaging experience while you are using the site. The chat feature is made possible because the site has clearly been designed from the ground up from a function first perspective, it looks like no other site we have encountered. 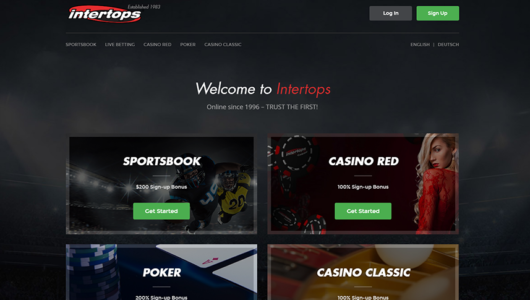 Unfortunately the site is let down somewhat in the gameplay department, but read on to find out why we still think this site is worth checking out. When we first visited the site, we had no worries opening our account. 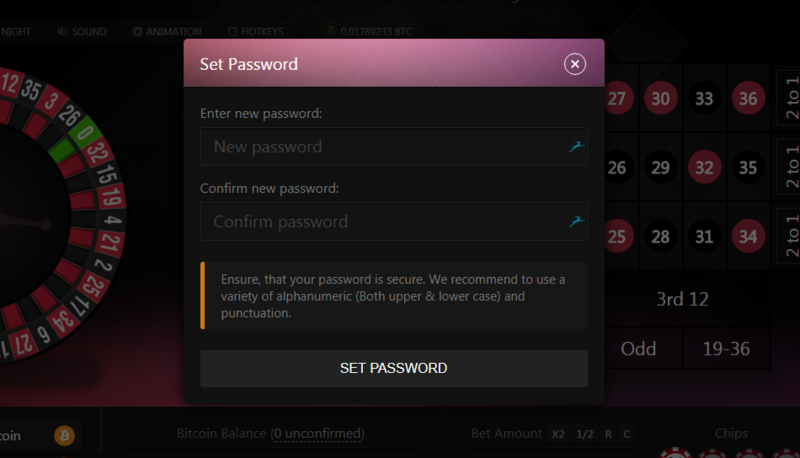 The account was already opened for us as soon as we opened the page – the site allocates every new visitor a unique player ID and displays this at the top of the screen – quite amazing and really taking the easy bitcoin account creation process we have come to love, to a whole new level. 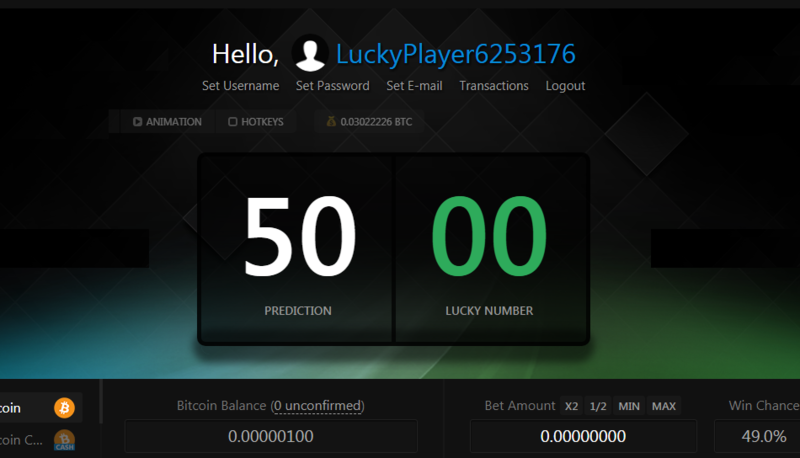 Your new account, in our case “LuckyPlayer6253176” is automatically credited with 100 Satoshi (a tiny fraction of a bitcoin). To use this free credit you will simply need to find a game and start to play it. 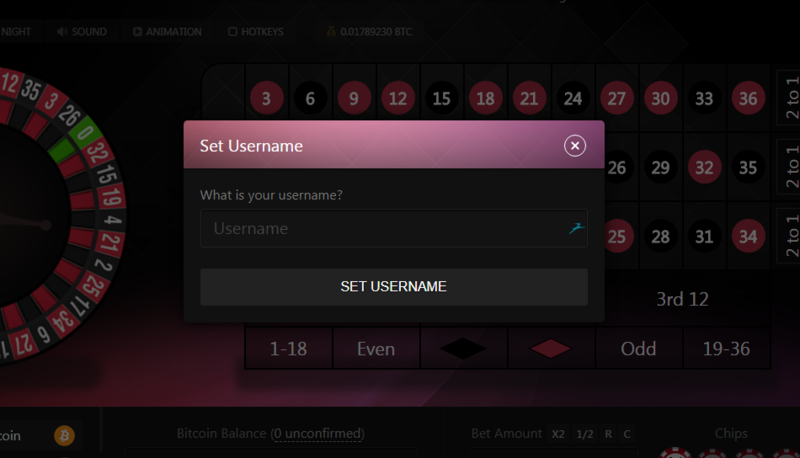 You’ll be asked to select a user name, and enter your e-mail address, and that’s it – getting started really couldn’t be any simpler – this is a very unique aspect of Luckygames, and a feature we think is pretty neat. 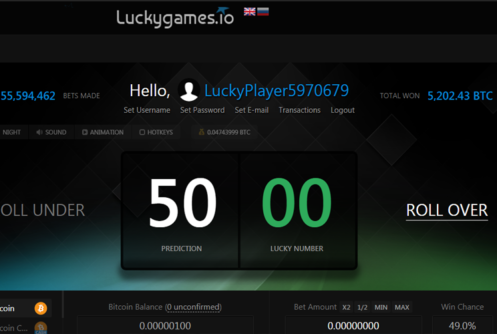 Taking the simplicity of getting started to the max – Luckygames even allow you to deposit without entering a single piece of information about yourself – we don’t recommend this however in case you lose access to the account. Instead we recommend you take just a few moments and enter your e-mail address, choose a memorable account name, and also enable 2-factor-authentication to secure your account. 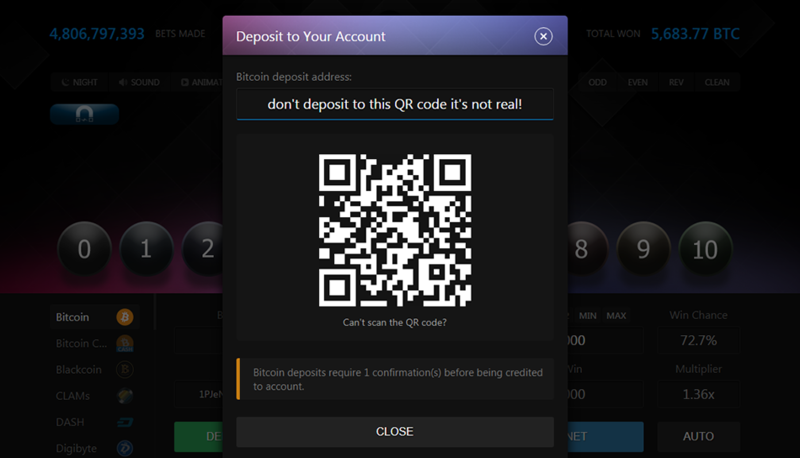 The simple instant player account creation is for a sure a neat feature, but we prefer security of our funds over simplicity of playing any day of the week, and highly recommend you enter this basic information before you deposit any funds. On the real site and not our review page you are presented with a bitcoin wallet address instantly when you press deposit, we’ve edited that above. As is indicated in the above graphic, Luckygames requires just 1 confirmation before it credits you with your deposit. 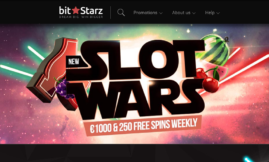 The simplicity of Luckygames doesn’t stop at account creation, when you start checking out the games on offer, you will find the selection really lacking! There are just four games to choose from: Balls, Dice, Roulette and Cells. It seems only right that we start with Dice, it has after all been around since the beginning of bitcoin casino gaming. Dice despite the deceptive name, doesn’t actually involve any dice at all. The object of the game is to predict where a number will fall between 0 and 100. The cool feature about the game is you get to decide how much risk you want to take, and as a result how much you could potentially stand to win. If you leave the default setting, you are predicting that the number will fall lower than 50, the odds of this happening are 49% and you receive a payout of 2.02x your bet if you win. 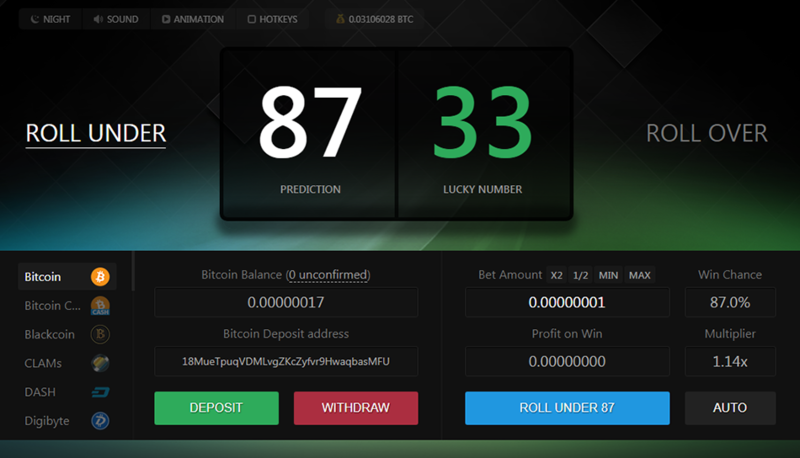 If however you adjust the number on the left by clicking on it and typing in a new number – as we did in the example above – by choosing 87, you increase or decrease your multiplier. In our case we went higher than 50, so we were more likely to win the bet and as a result, our payout was lower when we did. If you chose a number lower than 50 you will receive a higher payout if you are correct, but of course, you are also less likely to be correct. In our testing what we thought would be quite a boring game, actually proved quite fun, we recommend you give this one a go. The object of balls is to guess which numbers will be pulled by the magnet each time you power the magnet up by pressing run magnet. You can select any amount of balls between 1 and 8. The more balls you select the higher your chance of winning and therefore the lower your payout if you do win. This – like dice – is an incredibly simple game, but somehow the clever people at Luckygames have managed to pack a decent ounce or two of game play into it, we found we were running that magnet quite a few times in our testing, with various combinations of ball selections, looking to get the perfect guesses. Be warned however, chasing just 1 ball, for a potential payout of 10.89x your bet can very quickly deplete your bankroll, as we found out when we tried this tactic! 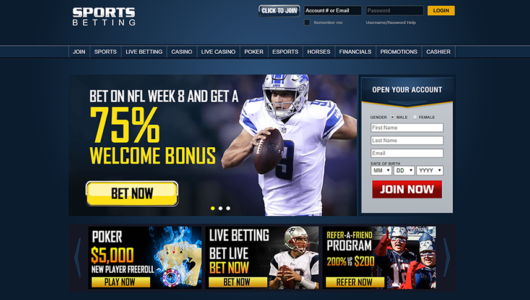 For those of you that have played roulette in a live casino like us here at gamblewithcoins, or enjoyed the live casino roulette experience on the many sites we review here that provide a live casino experience, we think you’ll agree with us that roulette can be quite a lot of fun. There’s something about watching that ball spinning around that wheel, bouncing across the outer edge of the wheel before it gradually falls into the numbers and finally lands on someones number. Well. Unforunately that’s not what you will experience at Luckygames roulette table. This has to be about the poorest visual implementation of roulette we have ever come across. For starters you can only see half of the roulette wheel. Secondly the table felt is only just marginally a lighter shade of black than the black numbers on the table, which means all you really see is a field of black contrasted against an occasional red. You can improve this by switching to the ‘day’ theme, which at least transforms the table colour from black to white, but alas, you are still left with just half of a roulette wheel on the screen, and chips that are very hard to distinguish from each other. If the visual defects weren’t bad enough, we’re afraid the betting interface doesn’t get much better. The various denomination chips are all very similar in colour, meaning you have to continually glance at the values printed on them to make sure you are clicking on the right chip. 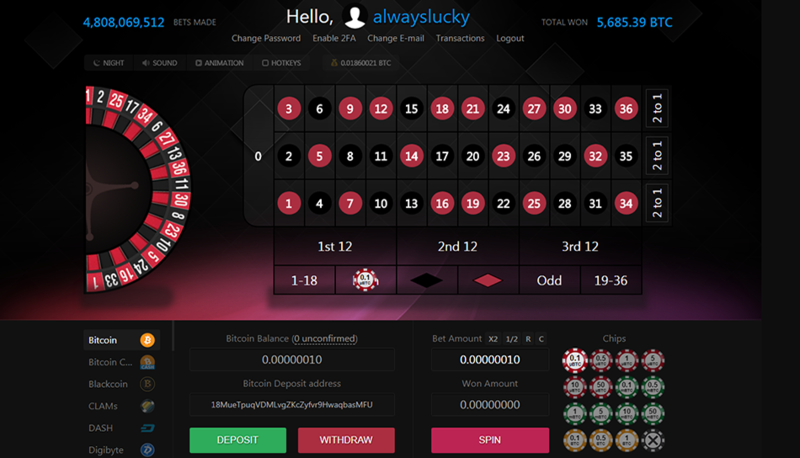 As you may have guessed by now, we are not a fan of roulette on Luckygames. Although the other games were simple, they were somewhat unique and their novelty factor made up for their simplicity. Roulette on Luckygames really has nothing going for it in our opinion. We’d advise you stay well clear of this one! At the time of our review, Cells was closed for maintenance. So we haven’t actually tried this one out yet. Seems a shame when there are only four games on the site that they take one off-line completely! The gameplay is a mixed bag for sure on Luckygames. Dice and Balls, are super simple, but have a rather captivating pull to them (no magnetic pun intended there), however roulette is really quite simple. We awarded a score of 45% for gameplay. The site is well worth checking out however, there’s fun to be had playing dice and balls, and engaging in the unique and very community focused chat room. There are also some pretty nifty hotkeys available for all of the games which improves the gameplay on each a few notches. Luckygames has a jackpot in progress around the clock which is a very nice bonus feature. Place a bet on any of the games in which the last 5 digits of the auto generated bet ID equal to the last 5 digits of Result Number. If you win you are notified automatically and each game has it’s on jackpot pool. If you participate in the chat room, you are eligible for random small rewards in the form of ‘rain’. Random fractions of crypto currency given out to by the site itself, or generous players to other players on the site. This is great for encouraging people to talk to each other in the chat room, and also adds a nice bit of excitement to the Luckygames community. 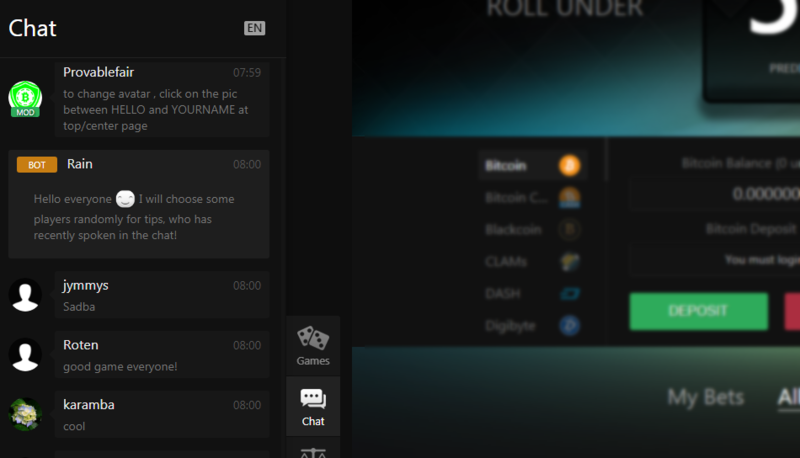 As a VIP player you gain special status in the community based chat room, and also gain access to the faucet, a free supply of fractions of crypto coins you can access for free depending on how much you have wagered. 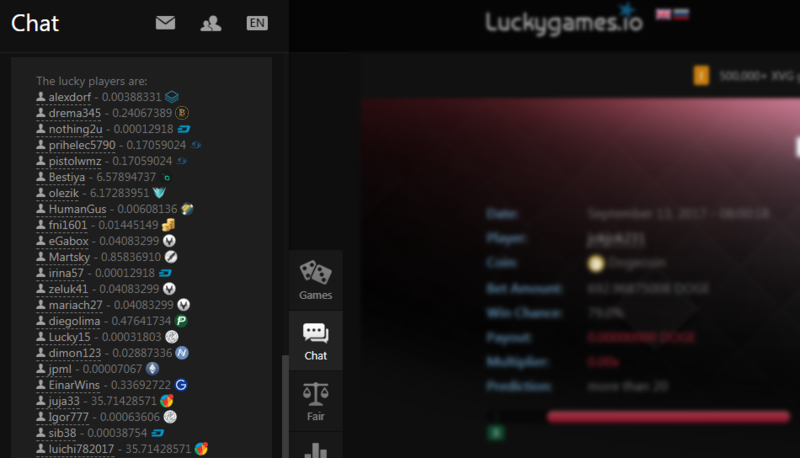 Luckygames is to be praised for building a site from the ground up, and for clearly creating a very unique gaming experience, the other huge plus at this site is the huge variety of coins you can play with, twenty one different cryptographic coins at the time of writing. The small house edge is another very positive feature. 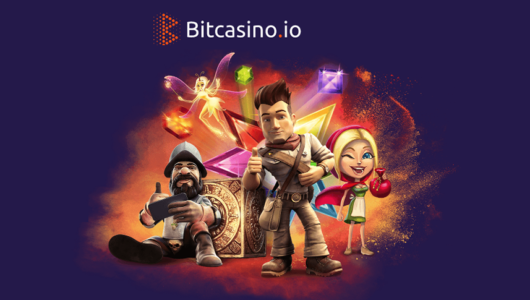 While the gameplay is not the best we have seen, there is still plenty of playability to be had on this uniquely built bitcoin casino site.